This little script helps setting your (captains) altimeter for the IXEG 737 Classic. 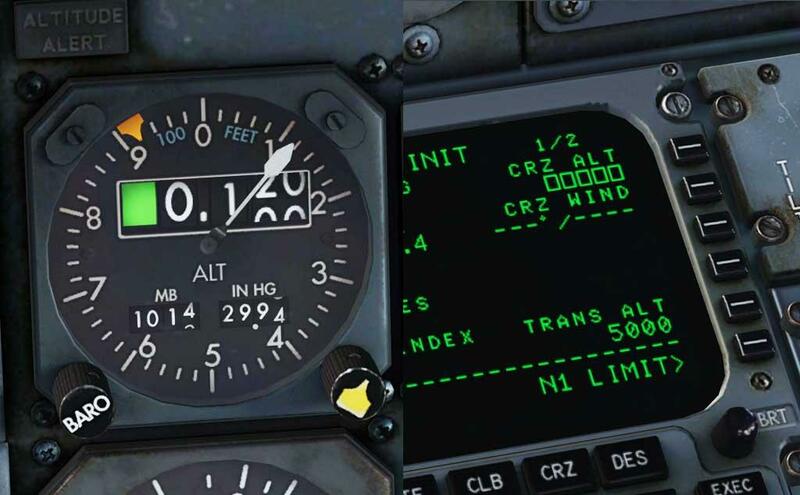 First, it can sync your altimeter with the current weather info from the simulator. Second, it can note you of passsing the transition altitude during climb, or set the standard altimeter setting for you. Set "SetStandardOnClimb" to true if you want it done for you or false if you just want a notification. Third, it can note you of passing the transition altitude during descent, or set the QNH altimeter setting for you. Set "SetQNH_OnDescent" to true if you want it done for you or false if you just want a notification. Added a bit of code to get rid of double callouts when flying near the transition altitude.